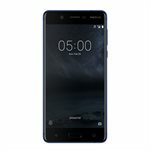 Nokia 5 brings you the perfect balance of the latest smartphone features, flagship quality design and everyday usability. The phone is 3D precision machined from a single block of aluminium with an attention to detail that puts most flagships to shame.The bright 5.2” display is laminated and polarized to minimize reflections, letting you enjoy the content inside and out. 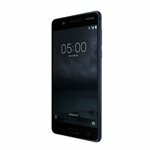 With Nokia 5 you get an Android that is pure, secure and up to date. It’s clean and clutter free, ready for you to customize. We’ll even support monthly software updates to help keep you secure whilst enjoying the freshest new features. 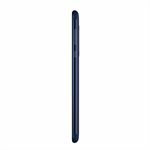 Nokia offers a Limited Warranty from manufacture defects such as defective parts or from the workmanship. This warranty will be valid for a one (1) year period from the date of purchase. If a phone has a defect, the consumer may return to the point of sale, along with valid Proof of Purchase, to be verified by retailer and confirmed defective. If a defect is confirmed – please contact the Approved Service Center (ASC) below. If the retailer can not duplicate the consumer complaint, the consumer may need some education about the features and functionality of their phone. Unit 14, 570 Alden Rd. Made from durable ballistic materials, this rugged holster by Nite Ize are universally sized to keep nearly any sized mobile device protected, attached, and accessible with the flexibility of a rotating clip for adjustable positioning.